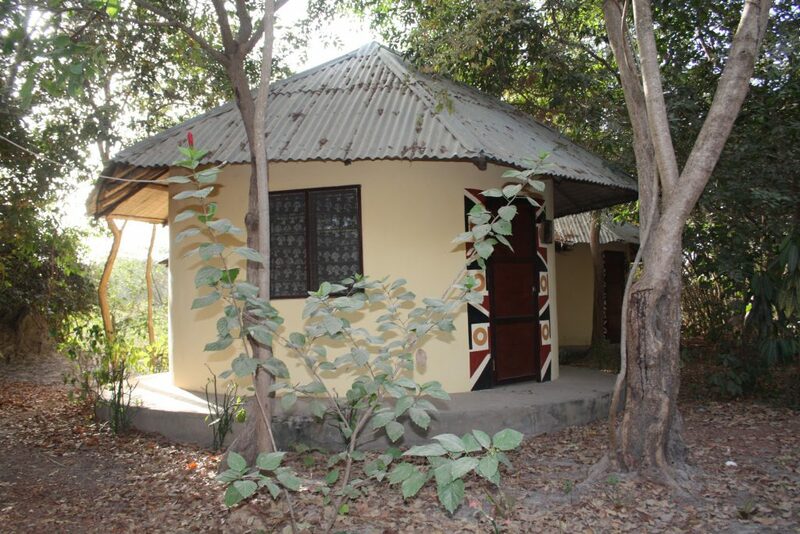 Bendula offers five traditional african style roundhuts for accomodation. 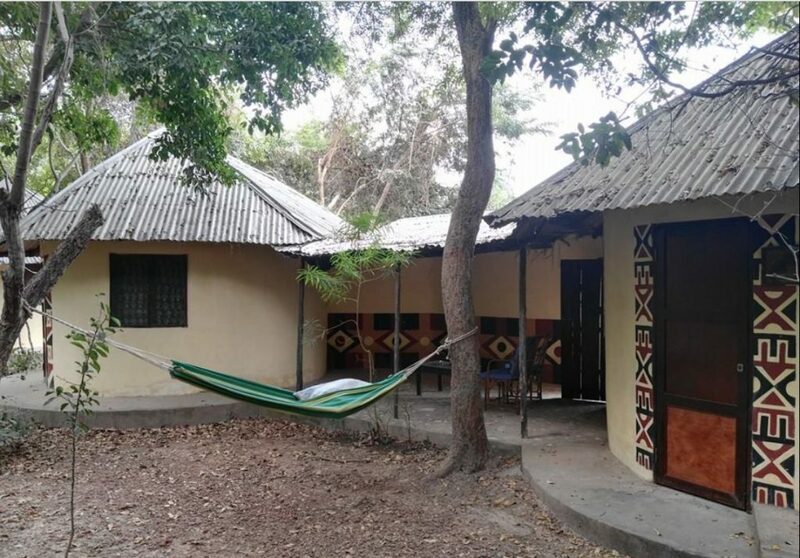 Each hut consists of two beds. 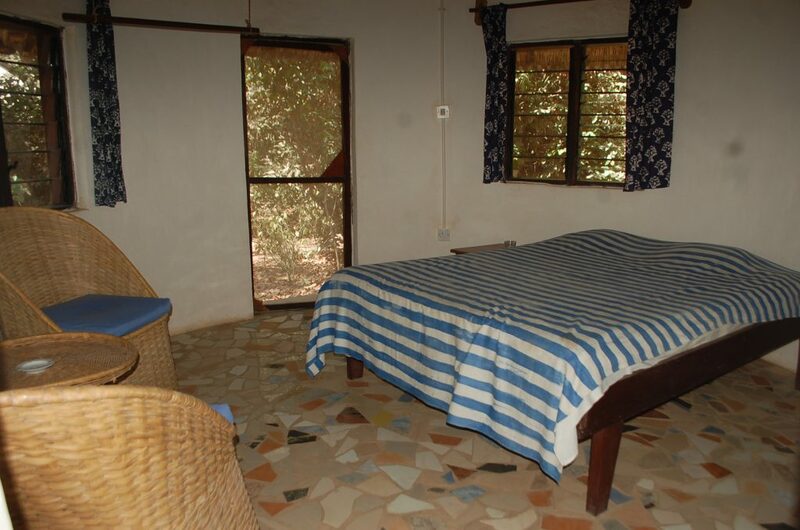 The rooms are clean and simplistic. 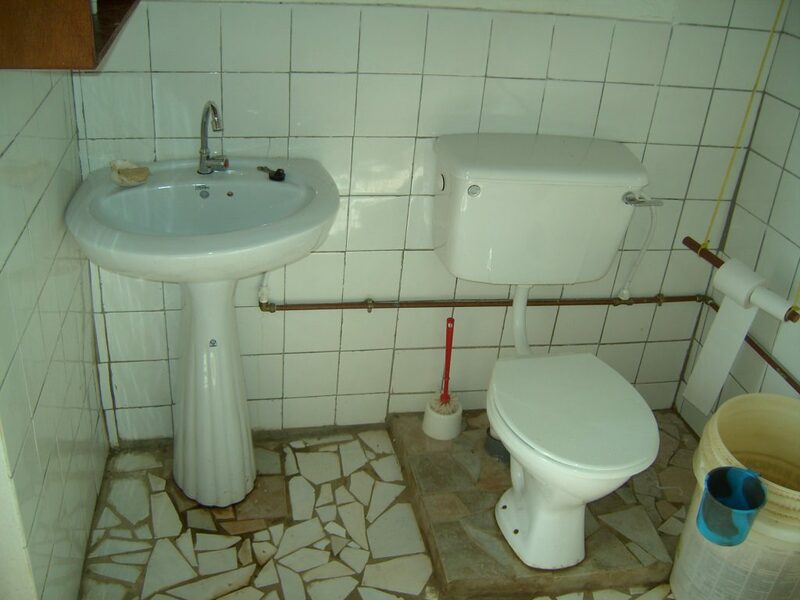 The Budget Double Room uses outside fascilities while the Deluxe Double Room has a private bathroom. 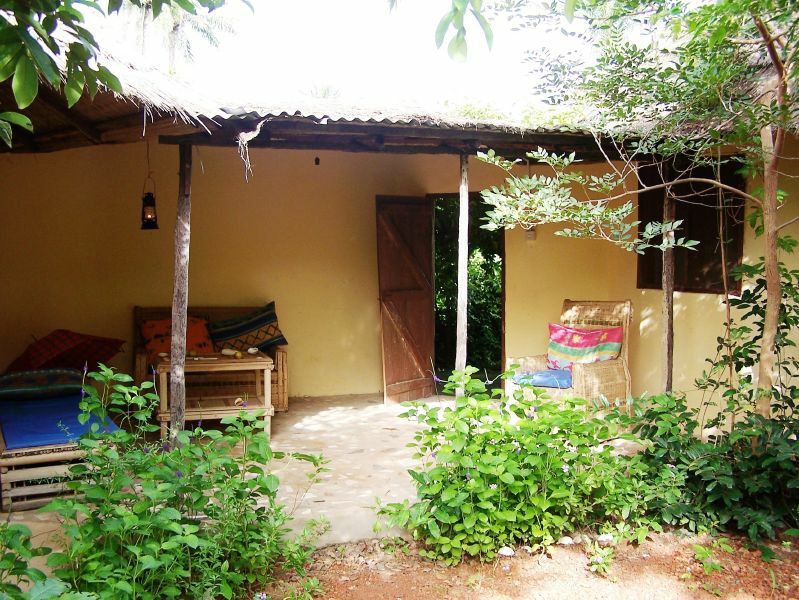 To make a booking either call or send a text to +220 771 7481 , send us an email or please use booking.com. 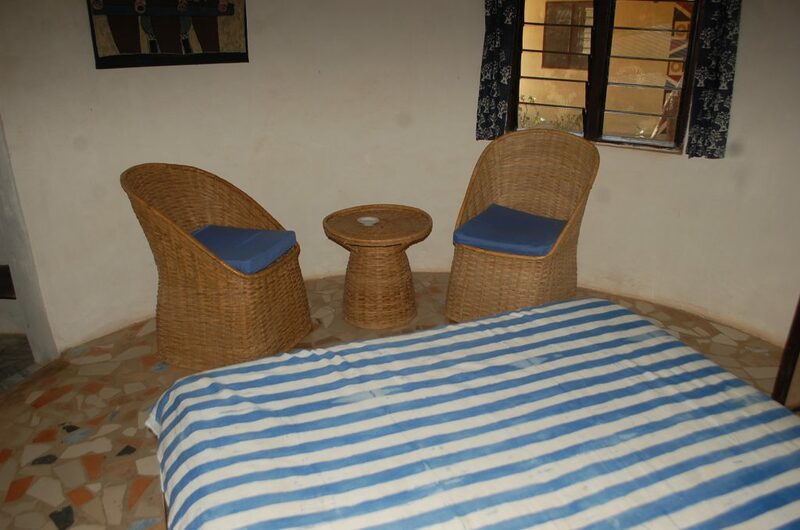 The Budget Double is available for 1200 Gambian Dalasi, the Deluxe Double for 1500 GMD for two people or 800 / 1000 GMD for a single person. Breakfast at our Restaurant and daily room cleaning are included. Lunch or Dinner options can be booked seperatly. Laundry service is also available for a small fee.